FREE delivery to United Kingdom in 5 - 15 working days. 100% New Zealand Wool. Hand tufted. 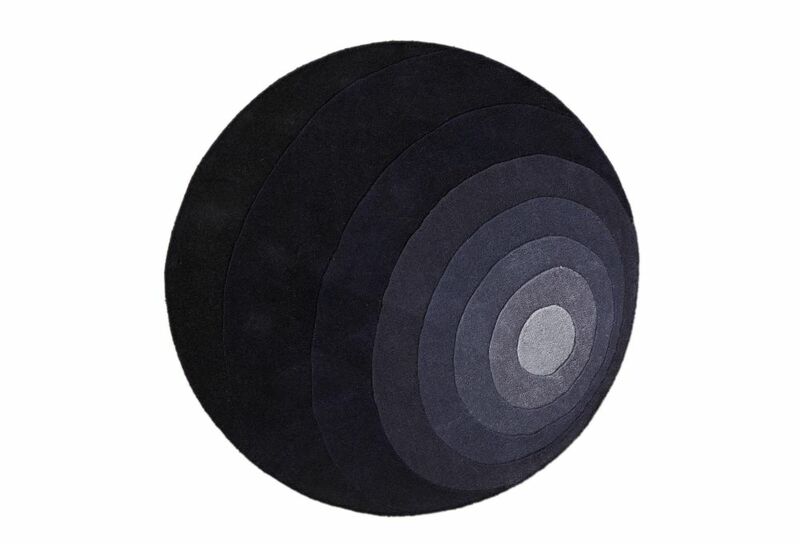 Eight colored rug with organic circle pattern. Verner Panton (1926-1998) was an inspirational and colourful personality. A unique person with a special sense of colours, shapes, light function and room. Over the course of his career, Verner Panton (1926-1998) introduced a series of modern lamps with personalities unlike any of his Scandinavian contemporaries. With a remarkable faith in the unlimited possibilities of the form, he worked successfully to create a new set of theories about how lighting should work and how it should influence its surrounding. Verner Panton studied at the Royal Danish Academy of Fine Arts in Copenhagen before going on to work at Arne Jacobsen’s architectural practice. Verner Panton set up his own design studio in 1955. Verner Panton (1926-1998) was an inspirational and colourful personality. A unique person with a special sense of colours, shapes, light function and room.